If you’ve been injured, complete a free personal injury consultation form or call us today at 504-569-9999! 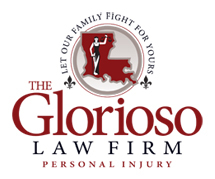 The personal injury lawyers at The Glorioso Law Firm are located in Metairie, Louisiana but serve clients throughout the Greater New Orleans Area and Louisiana. Please do not include any confidential or sensative information in this form. This form sends informaiton by non-encrypted e-mail which is not secure. Submitting this form does not create an attorney-client relationship.